Like most authors, I’ve been telling stories in one form or medium for long as I can remember. It’s been a lifelong passion I didn’t take seriously until the middle of my failed college career. One day I reached a point where I could choose to keep studying a field I didn’t really care about, or I could finally write an original novel. So I quit school, picked up an extra job and learned how to self-publish. I haven’t regretted it. Is Silverwood a pen name? If so, how did you come up with it? Yes, ironically the pen name came about the same time as the original incarnation of Silver Hollow. I was working on the early chapters and reading them aloud to my best friends (my “Jo & James”). I knew I wanted to write with a nom de plum and made up a list of potentials. “Silver” was in half of them, but my friends declared Silverwood sounded like an author they would read. I hope that reins true for my potential readers. Describe Silver Hollow in one sentence. A disillusioned woman finds belonging with family she had forgotten in a dangerous and magical land. Hard to pin it down in one sentence! 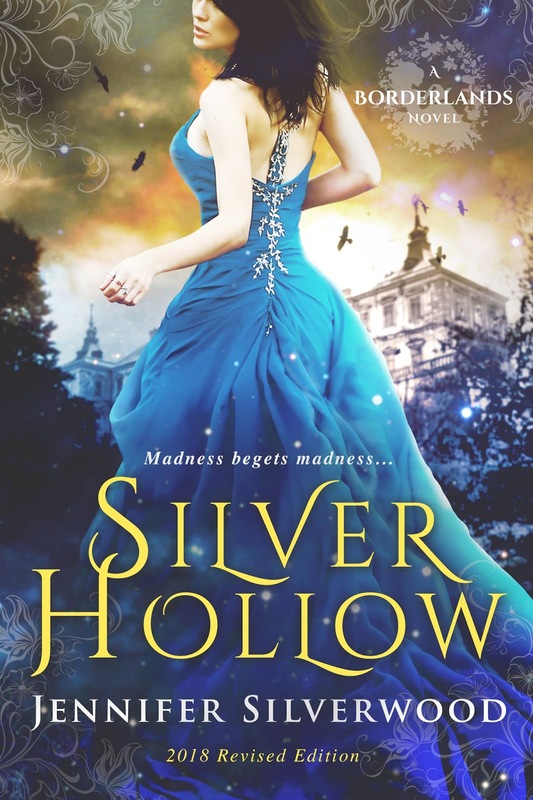 List a few authors or books comparable to Silver Hollow (fans of XYZ will love Silver Hollow). Silver Hollow shares elements works by Steve McHugh, Emigh Cannaday’s “Annika Brisby Series” and Lisa Blackwood’s “In Deception’s Shadow” series. If you’re a fan of lost legacies, second-chance romances and adult fairy tales, this is the book for you. How many books will be in the Borderlands Saga? I already have outlined part of the sequel, Blackbriar Cove, with ideas for at least two more books after that. I decided to name this a saga because I see this series going on as long as I have fresh ideas. There is so much I hope to explore in the Borderlands, from other gates around our world to the land across the veil. I would love to still be writing books about Amie & co. ten years from now. When can we expect book 2? Thanks for having me, K.D!